Therme Vals, the spa complex built in the Swiss Alps by celebrated architect Peter Zumthor, became an icon of contemporary architecture soon after its opening in 1996. Inspired by the spa’s majestic surroundings, Zumthor built the structure on the sharp grade of an Alpine mountain slope with grass-topped roofs to mimic Swiss meadows, captured here in a series of sumptuous images. 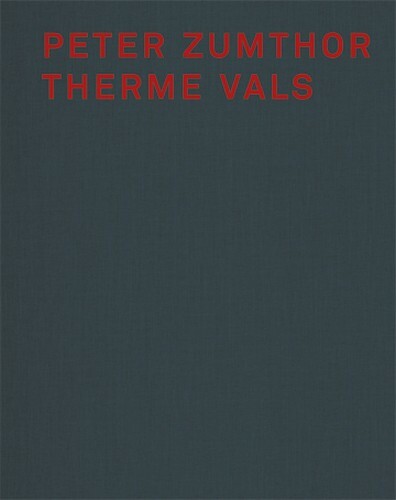 Peter Zumthor Therme Vals, the only book-length study of this singular building, features the architect’s own original sketches and plans for its design as well as Hélène Binet’s striking photographs of the structure. Architectural scholar Sigrid Hauser contributes an essay on such topics as “Artemis/Diana,” “Baptism,” “Mikvah,” and “Spring”—drawing out the connections between the elemental nature of the spa and mythology, bathing, and purity. Annotations by Peter Zumthor on his design concept and the building process elucidate the structure’s symbiotic relationship to its natural surroundings, revealing, for example, why he insisted on using locally quarried stone. Therme Vals’s scenic design elements, and Zumthor’s contributions to this book, reflect the architect’s commitment to the essential and his disdain for needless architectural flourishes. This lavishly illustrated volume about the spa that catapulted a remote Swiss village onto the international architecture scene will entrance all enthusiasts of contemporary design.